Contrary to what the reports say, we're confident that fitness trackers from the likes of Fitbit, Misfit and Garmin are going to be around for a while yet. Right now, they're mostly wrist-worn workout companions that track basic metrics like steps taken and calories burned. But there's a whole host of software and hardware innovations on the horizon that will change how they look, feel and work. And in doing so, they'll change the way we monitor our health and fitness forever. We've spoken to the future-gazing analysts and in-the-know industry folk to find out exactly what we can expect from these next-gen fitness trackers. We've seen huge leaps forward in terms of industrial design in the last 12 months, and this will only improve as firms refine their aesthetic. For example, this year will see the launch of the Misfit Vapor, the first smartwatch from the company famed for its fitness trackers. With its large, easy-to-read screen, virtual bezel and on-screen animations that show when you've hit your goal, it's quite a looker. 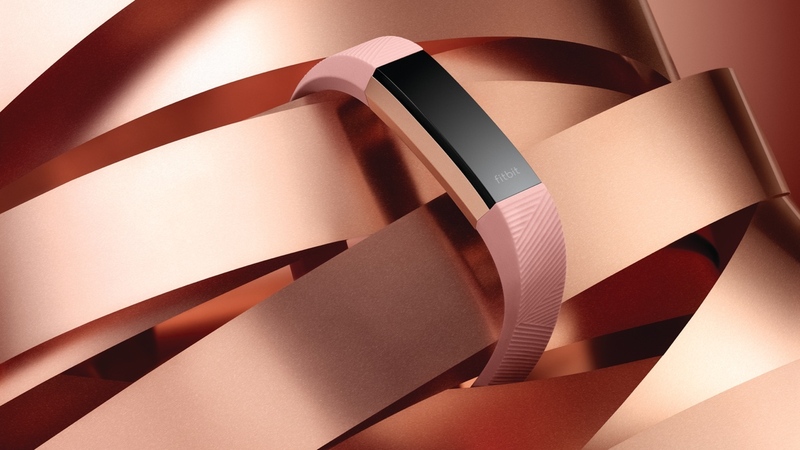 At the other end of the scale, pure fitness trackers are set to get slimmer and sleeker than ever. Take the Fitbit Alta HR, which features a strap that looks like it was plucked from the Fitbit Charge 2, not to mention new heart rate monitoring skills. Some analysts think the trend will be away from plain-looking fitness trackers and more towards hybrid devices. "Classic-looking watches with fitness trackers built in will continue to be popular, because they're much more acceptable to consumers," says Francisco Almeida, senior research analyst, European mobile devices, at IDC. "Dedicated fitness bands tend to look a bit cheap by comparison, and for a lot of people, don't feel natural to wear." Will fitness trackers even be worn on the wrist in future? Plenty of companies are already exploring other avenues. Under Armour's SpeedForm Gemini 3 RE running shoes feature a tiny chip embedded in the sole, which wakes up every time the shoe moves. Once it detects you're moving faster than 11 minutes per mile, it starts tracking you using its accelerometer. It can even give you feedback on your stride dynamics. Hexoskin, meanwhile, has a range of smart shirts that measure metrics like heart rate, breathing rate, activity intensity, steps taken and cadence. Innovations could even take the wearable out of the equation. Panasonic is developing a camera that can read your heart rate just by looking at you. Called Contactless Vital Sensing, it monitors the change in your skin's light reflectance – this changes depending on your blood vessels' contractions, which vary depending on how hard you're exercising. Because it's software-based, it can be built into almost any camera, including webcams. The traditional wrist-worn fitness tracker could even be replaced by smartglasses. We know, we know, with the failure of Google Glass fresh in the public's mind, smartglasses is still a dirty word. But there are exciting developments in this field, especially regarding health and fitness. Take Shima, for example. These cram all the features of Google Glass into what looks like a pair of normal glasses. And they're built with fitness tracking in mind – head out for a run, and they'll show your speed and calories burned in the bottom corner, like a heads-up display in a car. Which is far more convenient than constantly glancing down at your wrist. VSP – a company that offered subsidised frames with prescription lenses for Google Glass – is also exploring smartglasses. Last year, it teamed up with the University of Southern California on a four-month pilot study for Level, its upcoming fitness-tracking glasses. Again, they look like a normal pair of glasses, but have an accelerometer, gyroscope and magnetometer hidden in the left arm. It's early days, but it'll be fascinating to see if other fitness smartglasses companies can succeed where Google failed. We've already pegged hydration monitoring as one of the next big breakthroughs in wearable tech. While a couple of devices have had a stab at it – such as LVL and the Halo Edge – no one's really cracked it yet. If they had, Apple, Fitbit and the rest would have incorporated the technology into their own trackers. Hydration matters. Everything from your weight, concentration, heart health and sleep quality is adversely affected if you're not sufficiently hydrated. The bad news is, as a species, we're notoriously bad at drinking enough water. The NHS recommends that we drink between six and eight glasses a day, but many people fall way short of this. Hence why a hydration-gauging wearable could help. The problem is, measuring hydration is a complicated business. At the moment, the only surefire way is by testing urine. For a wearable, that's not exactly a selling point. Sure, you can buy a bottle that syncs to your phone and tells you how much you've drunk, but that relies on you using the same bottle all the time. And it's another device to carry around, rather than an added feature built into a wearable. Also, the wrist isn't the most suitable part of the body to measure hydration. Still, they say that about heart rate too, and it hasn't stopped fitness bands from reading your heart rate pretty accurately. Mark our words: hydration-monitoring tech will come to fitness trackers. And whoever can nail the technology, and market it right, is sure to clean up. But experts think we might be in for a wait. "A lot of companies are trying to create their own in-house hydration sensor, which is a very challenging thing to do," says Tom Dawidczyk, an analyst who leads the wearables research at Lux Research. "So I don't think hydration monitoring will be available on consumer wearables within the next two years. But the big players in wearables are definitely interested in this technology." This is widely regarded as the holy grail for wearable tech, as it'll provide a hugely useful insight into the effects of our diets on our general health. And it wouldn't just be useful for diabetics. Like not having enough water, having low blood sugar impairs your cognitive performance, so a wearable that could advise you when to eat something to raise your levels would be very useful indeed. Of course it would work both ways, sounding a warning if you've been bingeing on cake. There's been a rise in blood sugar monitors that are non-invasive (i.e. don't require you to draw blood), such as the Dexcom G5 and Glucowise. But no one's managed to build the tech into a consumer wearable yet. The HealBe GoBe promised to count your calories with no need to enter the data manually, but the reviews were disappointing. The most we've heard from a big company in this area is Google, who wants to incorporate the tech into a contact lens. But again, we're willing to bet every major company around is exploring how to factor blood sugar monitoring into its next wearable. Innovations like this could change the very dynamic of how healthcare works, and give us the people more control over our own wellbeing. "Some devices try and coach the wearer, but the problem is there are no repercussions from not getting up when your Apple Watch tells you to," says Dawidczyk. "But blood sugar monitoring and hydration monitoring could be used like corporate wellness programs to maybe give the wearer a small discount on their health insurance. After all, it's in the employer's interest as well to keep the employee healthy, as a healthy worker is a more productive worker." "The main goal for most companies is to be medically accurate," adds Almeida. "When that happens, these devices won't just be nice to have anymore. They'll be essential. They could even change the healthcare dynamic from reactive to a preventive and proactive paradigm." In other words, you could protect yourself from illness and disease instead of only dealing with them once it's too late. And who in their right mind wouldn't want that? This is one of the main problems plaguing wearables. We've seen steps forward in phones – two days' use from a single charge isn't unheard of nowadays – but wearables are still lagging behind. That will soon change. Prieto is pioneering a new 3D battery technology that uses a copper foam substrate. This means that not only will these batteries be safer, as there's no flammable electrolyte – so there won't be any Galaxy Note 7-style explosions – they will also last longer and charge faster. Even better, they'll be cheaper to make than current batteries, and be smaller, making them ideal for use in wearables like fitness trackers. However, some think the best gains aren't to be made from battery technology per se. "The biggest gains to be made in terms of battery life aren't from having larger or more dense batteries, but from optimising all the various components inside a fitness tracker to have greater power saving," says Daniel Gleeson, senior analyst, consumer technology, at Ovum. However it's achieved, longer battery lives will mean people are more likely to stick with their fitness trackers once the honeymoon period is over, as every time they take it off to charge it, there's a chance they won't put it back on. What would you like to see in the fitness tracker of the future? Let us know in the comments below.